My Sleep Over Camp Memories & Muskoka Woods Summer Camp! I'll always remember my year at sleep away camp, almost 30 years later. I was 12-years old, and all of my friends were going away to sleepover camp for the summer. My parents asked me if I would like to go too. I had never been away from home, but I decided that it would be a fun opportunity to hang out with my girlfriends all summer long! The camp was a 3 hour drive to Northern Ontario, tucked away in the wilderness. Once I arrived, I realized there would be more freedom than I had ever known. I got assigned to a cabin with my friends, other 12-year old girls and 2 camp counselors. We each chose either a top or bottom bunk. Too bad: I wasn't quick enough and got a bottom bunk. At once, the more camp-savvy girls started planning on how we would "sneak out" of our cabin at night (which never happened, as the counselors "busted" us). At 12-years old, we thought we were clever, but we were nothing compared to the seasoned counselors! Our cabin in the woods was so freezing, that I slept with my winter jacket over my face! Our very first morning at the camp we woke up after a fitful sleep, only to find a big surprise courtesy of our prankster counselors: all the girls had had their faces painted like clowns while they slept! Even the girls on the top bunks! And we had been totally oblivious to it! This one memory encapsulates my time at sleepover camp: lots of fun and big surprises! How great it was when one week, the entire camp was divided into teams, and we battled to find out who was the "best". I still recall that I was on team "Armageddon", and our team had to wear yellow tank tops to show our unity. Our team song was sung to the tune of "California Girls", and it was taunting the other teams that they could never compare to team Armageddon. Fun, happy times. Lots of laughter, teamwork, and friendships forged. I also remember that at sleepover camp, it was my first time ever falling in love...with peanut butter! They had the easy to spread Skippy kind, and it became my new favourite food. And could I ever forget "Tuck"? It was the camp store that would open once daily, and allow each camper to select their own treat like a pop, bag of chips, or chocolate bar! I saved up one week of my snacks, only to find that another hungry camper cleaned me out in minutes. Camp! Camp was a great time to make new friends, solidify old friendships, get to fraternize (within reason!) with campers of the opposite gender, learn new skills...and to appreciate your family better. When I returned home from my time away at camp, I was so delighted to see my mom, dad and brother. I was also so exhausted that I slept for a full 24 hours...sitting up in a chair! My mom had to put me into a reclining position! I woke up at the very same time the next day, ate my dinner, and then went back to bed! That was the only time in my life that I slept a full 24 hours! My kids have been going to summer camp for the past 2 years now, and it has been nothing but a positive experience! They will be attending again this year. At camp they have enjoyed fun, sun, gone swimming, made new friends, learned new skills, stayed active, laughed at silly camp songs, brought home camp crafts, participated in special theme days and field trips, made baked good...and always asked to go back next year. Even though price is always a consideration, we send them anyway, as we believe that summer camp is a great way to keep our kids healthy, happy and active. ABOUT: Have you heard of Muskoka Woods summer camp? It's a Christian Youth Resort located on Lake Rosseau, Ontario, that welcomes young people of all walks of life, and offers life-changing experiences. Their vision is "to inspire youth to shape their world". Campers choose from athletics and water sports, arts and media, team building and leadership programmes. Muskoka Woods operates all year round as a non-profit youth organization. Staff selection is based on trustworthy character, aptitude with children, and love for their Creator. The camp is a safe place where kids grow spiritually, socially, physically and mentally. It is a place where creativity flourishes, friendships reigns, and confidence grows. And all this in a FUN atmosphere! AMENITIES: The resort It is located on 1,100 wooded acres with 2,800 feet of breathtaking footage on beautiful Lake Rosseau. It's a perfect blend of unspoiled nature, modern buildings, and cutting-edge athletic amenities. Their assets include cabins, dining halls, meeting rooms, a new purpose-built Leadership Studio, concert hall, guest lounge and boathouse. Muskoka Woods boasts the largest and highest ropes course in Canada, an 80,000-square foot indoor action sports park, 15,000-square-foot gym, 50-foot climbing wall, 12 tennis coasts, two beach volleyball courts, dedicated gymnasium facility, three playing fields and a golf training centre with driving range, putting green, and chipping green. And Lake Rosseau offers calm waters and sandy beaches. It's a secluded summer camp set up like an all-inclusive resort! Campers at Muskoka Woods enjoy clean, fully-enclosed cabins with bunkbeds. Guests keep their own cabin tidy during the week, and the washrooms are cleaned by camp staff. 7-9 years old (WILD campers): stay in cabins with 2 counselors and up to 10 other campers. 10-11 years old (J1 campers): stay in cabins with 2 counselors and up to 10 other campers. Their cabins are close to washroom facilities with showers and hot water. 12-17 years old (J2 and Senior High campers): stay in cabins with 1 counselor and up to 11 guests. Their cabins usually include amenities with showers and hot water. Their food is akin to a cruise ship! Meals are served three times per day, buffet-style, with additional snack times. The buffet boasts lots of tasty choices to suit picky eaters, including a daily vegetarian option and a fully loaded salad bar. If your child has special dietary needs, Muskoka Woods will be glad to cater to them. At most meals, campers dine with their cabin group and a counselor or an athletic staff member. ALERT: Please do not send snacks containing nuts of any kind, due to campers and staff with nut allergies. Check out a sample menu here! Intrigued? Call 1-705-732-4373 to book a tour! Or get started and Register for the Muskoka Woods 2013 summer season here! Have you ever been to sleep away or day camp? What was your favourite part of it? Will you be sending your kids to camp this year? 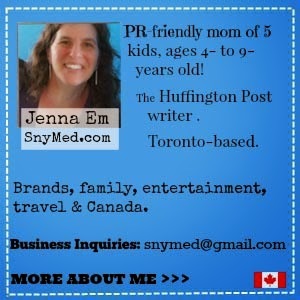 Disclosure – I am participating in the Muskoka Woods Blogger Campaign by Mom Central Canada. I received compensation as a thank you for participating and for sharing my honest opinion. The opinions on this blog are my own. Summer camp is an awesome experience, which I think every child should have the opportunity to enjoy! This year my oldest is a CIT, my younger two are campers - my youngest for her first time. Country Mouse, City Mouse, congratulations on your oldest starting CIT this year! What a great opportunity! I will have 3 kids in camp this year. What fun pics! I wish I had my camp pics to share! Thanks for reading, Multi-Testing Mommy! Thanks Torviewtoronto! It definitely was unforgettable. I've never been to camp but I hope to be able to provide the opportunity to my boys. I know they would love it. Kerrie, I found that the fresh air and all the activities really did my kids good. Umm. wow. Your post for this is impressive. I'm still struggling with what i'm going to say! and I need to dig through the boxes in the basement to find some pics!! Thanks so much, OrangeHeroMama! I can't wait to read your memories! I LOVED camps when I was growing up - I attended a lot of girl guide camps and the memories, adventures & friendships will last a lifetime! Little Miss Kate, I totally agree! Looks like a lot of fun. A lot! :) I've only been to camp a couple of times..Nothing like this though. Can I be a kid again? The camp experience today is so sophisticated compared to the low tech fun that I enjoyed! We went there last year!! OMG not joking when I tell you that it was kickbutt awesome!! Loved every second and the cabins were faboosh. Plus the big swing well, honestly there is little better than camp and Muskoka. Just outrageously beautiful area too. Paula, that sounds AMAZING! It sounds like you had an AWESOME time! My granddaughter will be going to camp at Gros Morne National Park in May and she is so excited and nervous,wish i had stories to tell her about my experiences but i never went to camp so here we are today reading about your fun memories.Thanks for sharing !